“Aliens: Zone of Silence” is a found footage film that was directed by Andy Fowler and written by Fidel Arizmendi and Andy Fowler. The film follows a young woman who sets out to investigate the disappearance of her brother, who was researching UFO sightings in the Mexico desert. This film marks the directorial debut of Andy Fowler who has an impeccable résumé as the visual effects producer on many high profile projects, including San Andreas (2015), Noah (2014), The Chronicles of Narnia: Prince Caspian (2008), 300 (2006)—and many others. He is currently the Director of VFX at Netflix. 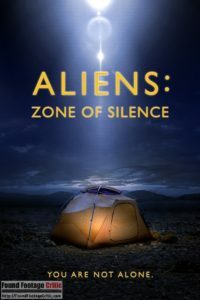 Aliens: Zone of Silence is presented as a documentary that is narrated by Morgan, whose brother Hal went missing in a region of the Mexico desert known as the Zona del Silencio or Zone of Silence, a reported hotbed of UFO activity. 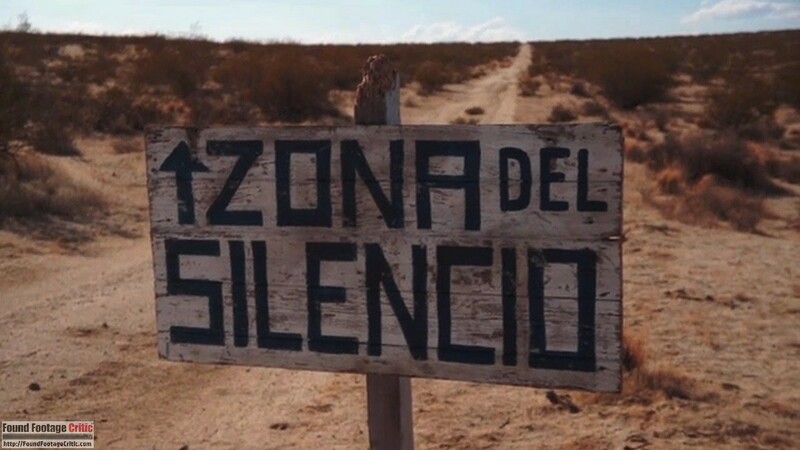 The Zone of Silence is a region of the Mexico desert that “gobbles up radio and TV signals” and where people have gone missing without a trace. Perhaps not so coincidentally, the Zone of Silence shares the same latitude as the Bermuda Triangle. With the help of Hal’s friend Goose, who is a Marine veteran, Morgan heads out into the desert to find out what happened to her brother. Goose establishes a remote high-tech command center in his home where he monitors Morgan’s progress in real-time. Morgan has state of the art video cameras, global positioning systems, and surveillance equipment to help combat the radio interference and other strange phenomena in the Zone of Silence. Will Morgan succeed in her mission to locate her brother? The found footage captured from her journey will reveal the horrific and terrifying truth. For the past three years found footage enthusiasts have been the beneficiaries of a spike in the release of alien abduction found footage films. Most notably is the recent surge of found footage films about the Phoenix Lights incident, a real-life mass UFO sighting that took place in Phoenix, Arizona in May 1997. Three found footage films about the Phoneix Lights were released in three consecutive years: The Phoenix Incident (2015), The Phoenix Tapes ’97 (2016), and Phoenix Forgotten (2017). You may be wondering, how does Aliens: Zone of Silence fit into this group of films? Phoenix Forgotten (2017) and Aliens: Zone of Silence share similar plots. In both films, a group of friends heads out into the desert to investigate UFO activity and suddenly go missing. The sister of one of the missing explorers sets out on a mission to find the whereabouts of their missing brother. Plot reuse is nothing new to Hollywood. When a great story comes along, multiple studios are quick to jump on the film bandwagon and capitalize on the opportunity. A good example is Armageddon (1998) and Deep Impact (1998), during the short-lived “extinction event” asteroid craze. On a grander scale, the recent zombie phenomenon has churned out more films than this reviewer can count. There’s nothing inherently wrong with a writer/director putting their creative spin on a story that’s already been told. This begs a second question, how does Aliens: Zone of Silence stand up to Phoenix Forgotten (2017)? In short, Aliens: Zone of Silence is an exceptional movie with a great story that uniquely separates itself from other like-minded films. In rare form, Aliens: Zone of Silence offers flawless found footage cinematography. The film contains a wide array of recording equipment, including multiple body-mounted GoPro video cameras, fixed position tripod-mounted video cameras, cell phone cameras, handheld video cameras, surveillance cameras, audio and radio signal recorders, and specialized video cameras that record in very low and high magnitude light. The desert scenes with Morgan are primarily filmed using a very large (and uncomfortable looking) video camera rig strapped to Morgan’s shoulders. The unwieldy contraption has two video cameras and two directional spotlights. 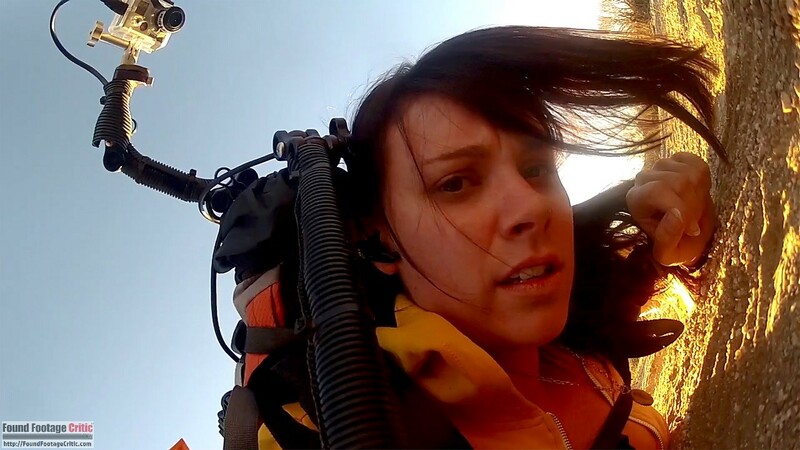 Interestingly, the video cameras on the rig are angled towards Morgan’s head, providing POVs that keep Morgan in-frame while showing where she is walking. Besides Morgan’s camera harness, most of the footage in Aliens: Zone of Silence is captured from fixed-position cameras that automatically record. These video cameras include proximity cameras in the desert and surveillance cameras in Goose’s home. On the cutting edge of video camera technology, Morgan places a proximity camera outside her tent that automatically follows movements based on motion detection. The reliance on automatic cameras that don’t require human intervention removes much of the necessity for director Andy Fowler to worry about the characters’ camera skills and helps feed into solid filming reasons (discussed later). Juxtaposed with the mostly-automated Morgan and Goose footage is the recovered footage of Morgan’s brother Hal, which is exclusively shot with a handheld video camera. Aliens: Zone of Silence is a wonderfully edited film, which is in large part due to the abundance of available camera POVs used throughout the production. 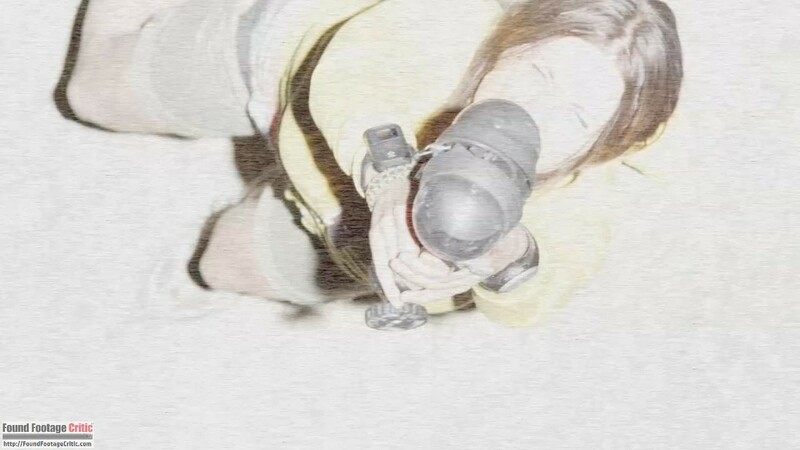 Andy Fowler’s decision to use so many video cameras enabled him to create a found footage film that has the feel of a traditional narrative shot film. Further adding to the visual eye candy of Aliens: Zone of Silence is the variety of camera resolutions, different on-screen displays, and daytime versus night vision filming. When taken as a whole, this film is very visually interesting to watch. One particularly beautifully composed and emotionally touching scene consists of Morgan’s present-day footage and Hal’s recovered footage, both of which were recorded at the exact same location in the Mexico desert, but four months apart. The present-day and recovered footage play in tandem, alternating between Morgan speaking and Hal speaking, creating the illusion that both characters are conversing with each other across time. Unlike most found footage films which often come across as claustrophobic and confining, Aliens: Zone of Silence is breath of fresh air. The open expanse of desert, first-person POV shots that include Morgan in-frame while walking, and wealth of camera positions makes for a cinematically beautiful and often visually breathtaking film. 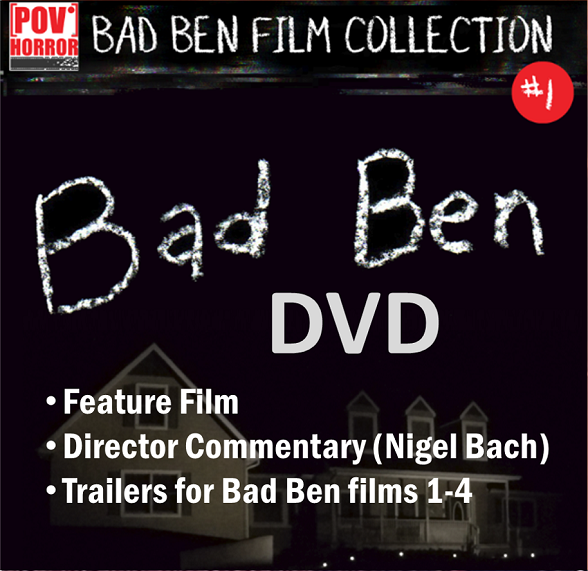 An effective found footage film must maintain strong filming reasons that blanket every scene. To our joy, the filming reasons used throughout Aliens: Zone of Silence are nothing short of perfect. The footage of Hal (and his friend Alex) was filmed for his “Alien Hunters” documentary on YouTube. These scenes include footage of Hal and Alex preparing for their journey to Mexico, buying supplies, and quite a bit of horsing around. This early footage is instrumental in developing the characters of Hal, Alex, and Goose. 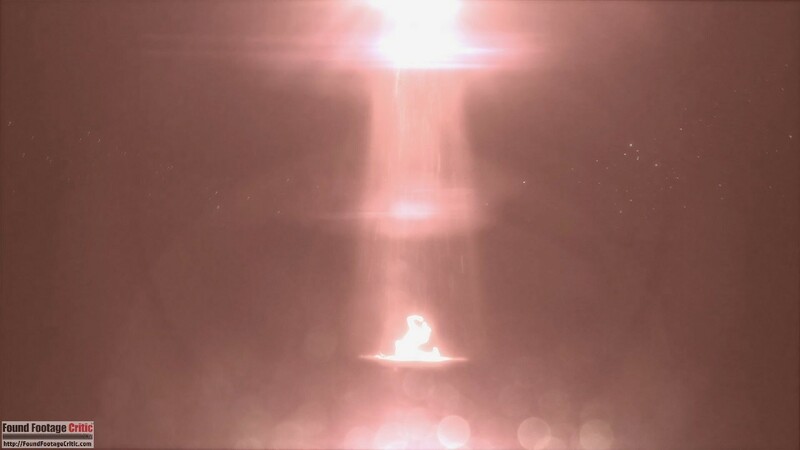 The recovered footage of Hal in the Mexico desert was filmed as the core of Hal and Alex’s documentary. 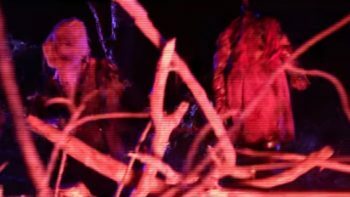 Since this footage is filmed entirely with a handheld video camera, director Andy Fowler had to work out how and why particular scenes are filmed while the characters are under the threat of danger. For most of these instances, the video camera is either already on the ground or is dropped and continues to film, providing an organic reason for the existence of this footage. 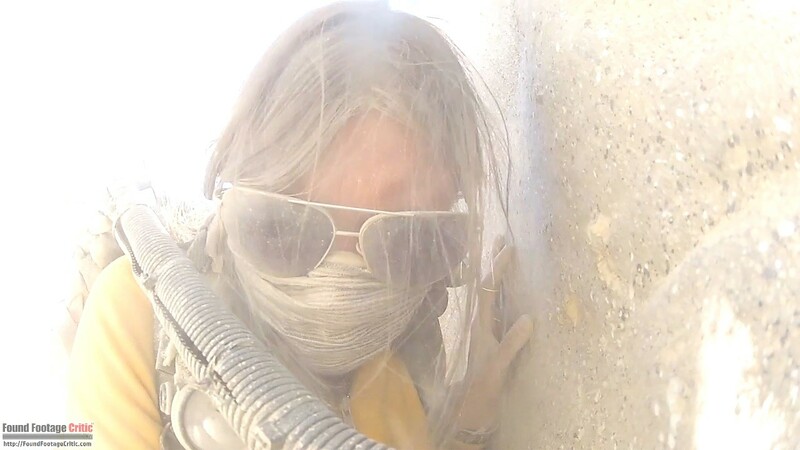 The footage shot by Morgan prepping for and in the Mexico desert falls fully within her mission to record everything that happens by any means possible. Morgan has cutting-edge filming and surveillance equipment with redundant video camera sources, ensuring everything is recorded. Since the vast majority of the footage she shoots is captured from fixed-position or body-mounted video cameras that automatically record, the presence of danger or lack-thereof has no impact on her filming. 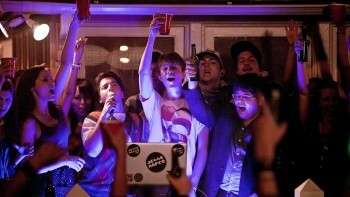 Rounding out the footage are the scenes recorded in Goose’s home. 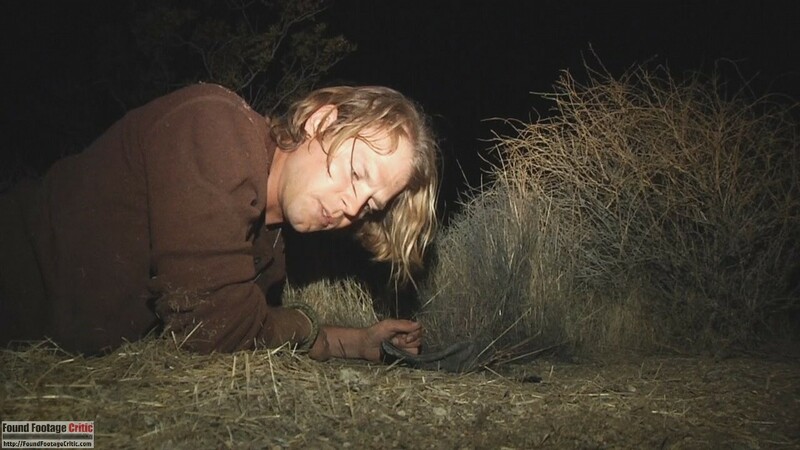 Goose is helping Morgan locate her brother and has a remote command center in his house where he monitors Morgan’s activity in the Mexico desert. Goose is presumably the person who assembled the final documentary. Filming his own activities provides him with additional footage for the final cut of the film. The found footage purity measures how well a film looks and sounds like actual found footage. This rating criteria takes into consideration the cinematography, special effects, sound, acting, and a myriad of other variables. To the credit of director Andy Fowler, the found footage purity in Aliens: Zone of Silence is pristine. 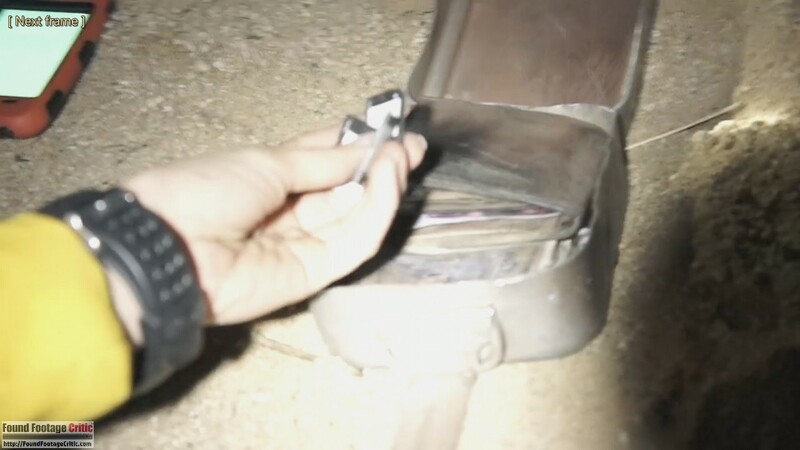 One of the key questions behind every found footage film is how the footage is recovered and who compiled the footage into a feature-length film. Aliens: Zone of Silence masterful answers both of these questions. 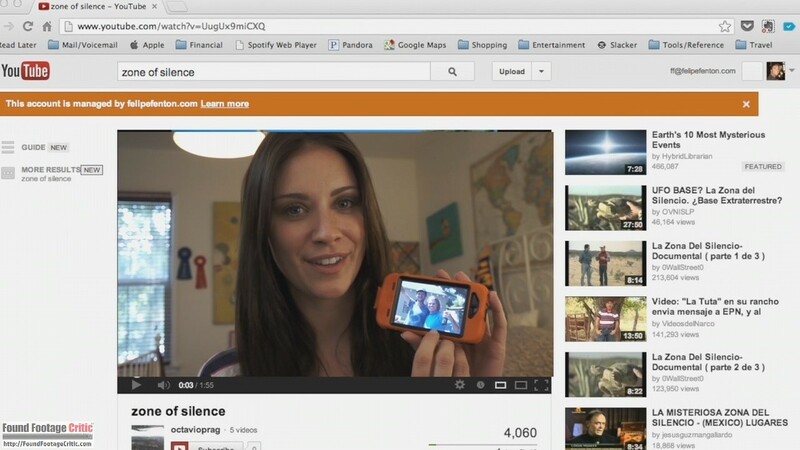 While Morgan is in the Mexico desert she finds a cache of video camera cards in a box that belonged to her brother. Morgan’s recovery of Hal’s video camera cards explains how his footage was recovered and found its way into the documentary. As mentioned earlier, Goose helps Morgan complete her mission in the Mexico desert. Early on, the film reveals that Goose served with Hal in the Marines and is an expert in cinematography. He establishes an elaborate command center in his home from which he records and monitors everything Morgan does in Mexico. Regardless of Morgan’s ultimate fate, all of her footage is streamed in real-time to Goose’s command center. Morgan even takes the time to upload the cache of recovered video camera cards to Goose to ensure the data is not lost. This plot point brilliantly guarantees that all of Morgan’s footage and Hal’s footage finds its way out of the desert, regardless of how Morgan’s story ends. Since Goose has access to all of the footage that appears in Aliens: Zone of Silence, he is the most likely candidate for putting together the final documentary. Even if Morgan elects not to make the documentary, all of the footage is secure in his home and available for someone to assemble. One of the defining characteristics of Aliens: Zone of Silence is the quantity of video and audio distortions that are recorded due to the interference from the Zone of Silence in the Mexico desert. 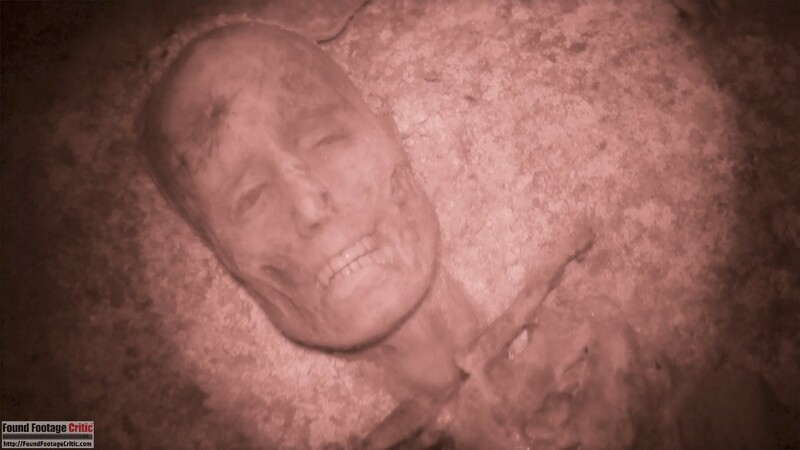 This reviewer has had the privilege of watching several hundred found footage films, many of which include these types of distortions executed using a variety of different techniques. From the films I have personally watched, Aliens: Zone of Silence does the best job at creating convincing video and audio artifacts. Even more impressive is quantity and variety of effects spread across the runtime of the film. The professional execution of the VFX in this film should come as no surprise considering director Andy Fowler’s expertise and lengthy résumé in visual effects. Aliens: Zone of Silence has a strong ensemble cast. Sarah Hester delivers an exceptional performance as Morgan, a determined and fearless young woman who will stop at nothing to find her brother. She carries much of the film with an effortless grace, displaying exceptional range as her character is slowly torn down by the relentless Mexico desert. Vince Tula is wonderful as Goose, who plays opposite Sarah Hester’s character. The two actors have a good chemistry, although their characters are seldom in the same scene—most of their interactions are over a cell phone. Goose is a Marine veteran who served with Morgan’s brother Hal. Vince Tula effectively portrays the wholly-dedicated soldier who lives by the creed of leaving no man behind. Due to a leg injury sustained during his tour of duty, Goose couldn’t go with Hal to Mexico. Four months later, he can’t join the search and rescue mission with Morgan, but that doesn’t stop Goose from devoting himself to finding his friend. Peter Gesswein turns in a convincing performance as Hal, a Marine veteran who doesn’t take life too seriously. When his character comes to grips with the direness of his situation, Peter Gesswein convincingly emotes his character’s deep affection for his sister Morgan. Jed Maheu plays opposite Peter Gesswein. He performs admirably as Hal’s best friend, Alex. Peter Gesswein and Jed Maheu have a good on-screen chemistry that carries through their scenes leading up to and in the Mexico desert. 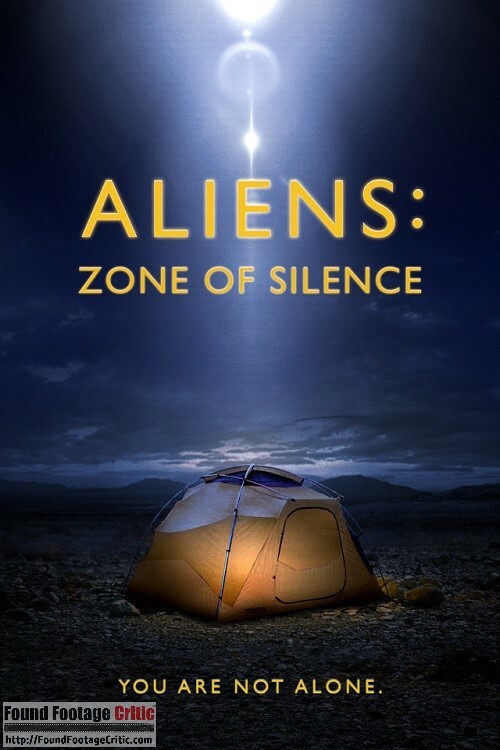 Aliens: Zone of Silence is based on the Zona del Silencio or Zone of Silence. Surprisingly, this is a real place where strange phenomena have been reported throughout modern history. In the 1930s a pilot flying over the Zone of Silence claimed that his plane’s instrumentation stopped working. In 1970, a U.S. missile test in Utah went terribly wrong. After launch, the missile inexplicably veered off course by hundreds of miles towards the Zone of Silence. NASA officials at the time said that it was almost as if something pulled the missile towards that region of Mexico. Further, many people over the years have reported that their radios and cell phones stop working while in the Zone of Silence. The region is considered by many to be a hotbed for meteorites and UFO sitings. Scientists who formally investigated Zone of Silence believe that the unusually high level of mineral deposits in the region may have resulted in an elevated electromagnetic field, which may, in turn, be responsible for attracting falling meteorites and space debris. On a more topical note, the Zone of Silence is located on the same parallel as the Bermuda Triangle and Egyptian pyramids. From all accounts, the Zone of Silence exhibits many of the same properties as the Bermuda Triangle. One fact is for sure, Aliens: Zone of Silence raises even more questions and intrigue about this strange region. It’s not often that a found footage film is released that makes an impact on the genre. Aliens: Zone of Silence is among that short list of films. The found footage elements of this film were clearly exhaustively fleshed out well in advance, which is a testament to the detail the crew put into the production. The pacing of Aliens: Zone of Silence is also exceptional. The film alternates between Morgan’s present-day footage and Hal’s recovered footage, which keeps the story moving forward and the visuals fresh. Even when Aliens: Zone of Silence lingers in Morgan’s timeframe for an extended period, the variety of camera POVs, unearthly sounds, video glitching, and different looks to each camera ensure the film is always interesting to watch. Director Andy Fowler’s subtle and restrained use of VFX for video glitching and other reveals is commendable. When it comes to VFX in found footage films, less is more. The exceptional cinematography, perfect use of VFX, and adherence to the rules of found footage makes Aliens: Zone of Silence a revolutionary UFO/Alien film that elevates the found footage genre. Four months ago, Morgan Taylor's brother, Hal, and his best friend went missing in a mysterious area of the Mexican desert known as Zona del Silencio. After receiving no help from authorities on either side of the border, Morgan heads south to uncover the truth about their disappearance, strapped with action cameras streaming footage to Hal's Marine Corps squadmate back in the United States. When her vehicle suddenly breaks down just outside the zone, Morgan must traverse the desert alone, enduring intense heat in the daytime and menacing coyotes at night. She eventually locates Hal's campsite and finds a kit filled with memory cards from his camera. 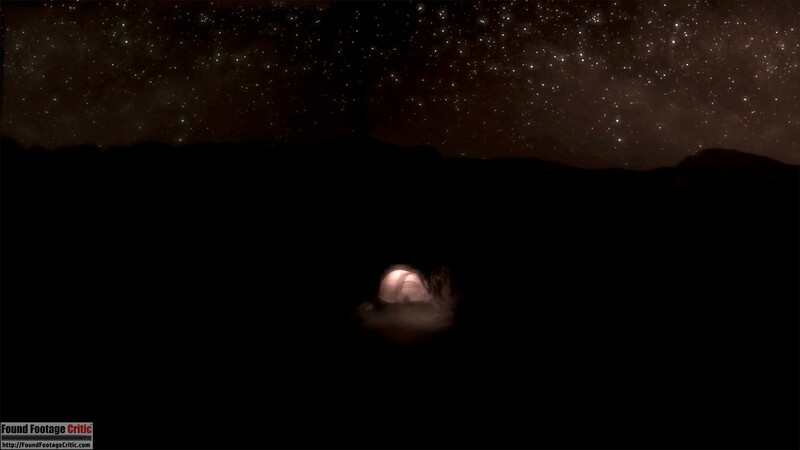 The recordings reveal a series of strange noises, eerie lights in the sky, gravitational anomalies, and an extraterrestrial presence in a nearby mountain range. Convinced aliens were responsible for her brother's disappearance, Morgan must decide whether to flee with her life or attempt to expose the otherworldly beings once and for all. ALIENS: ZONE OF SILENCE is a found footage film and horror/sci-fi movie that puts a unique spin on the alien abduction sub-genre. 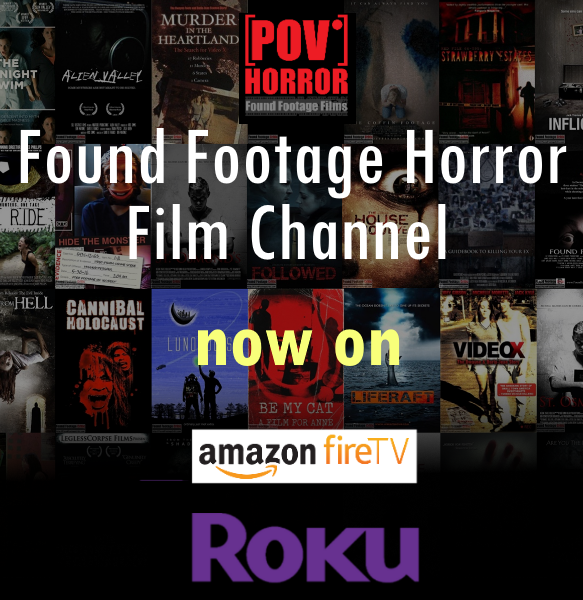 The exceptional story, special effects and great acting and pacing make this a must-see found footage film.